Welcome! 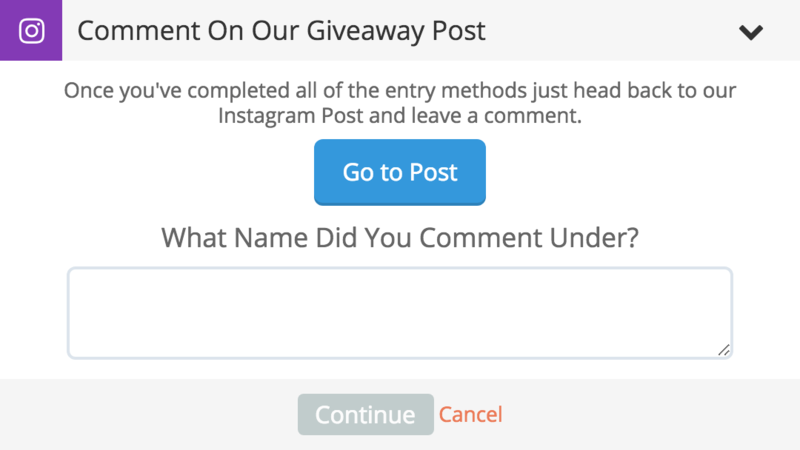 Are you using Gleam but unsure exactly how to execute a contest on Instagram? Then this is the guide for you. Join us as we reveal some of the best tactics to help you drive the best results. 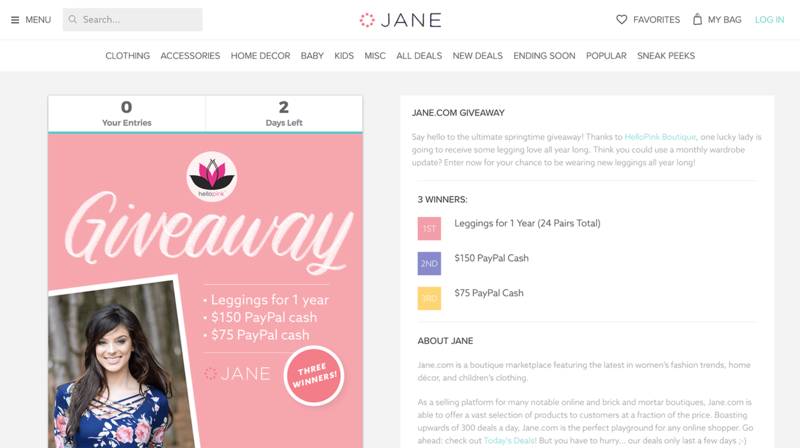 Before we dive into best ways and tips to execute your campaign, it's important to first understand how Contests work on Instagram. Particuarly since you can either use an App (like Gleam) or run the campaign on Instagram itself - or a combination of both. What Are The Advantages and Disadvantages to Using a Contest App? Since Instagram was acquired by Facebook the rules on what app developers are allowed to do have changed quite a bit. From June 2016 any app that uses the API is no longer allowed to incentivize actions that exist on Instagram. There's a few ways around these restrictions which we'll talk about later, but for now make note of the above. If you don't use an app you can also run the campaign directly on Instagram. The only thing you really need to consider here is the Promotion Guidelines. The main point is that you must not inaccurately tag content or encourage users to inaccurately tag content (e.g. don’t encourage people to tag themselves in photos if they aren’t in the photo). The big issue that you have with this methodology is that it's incredibly hard to track all this data and fairly pick a winner. That's why we recommend to combine the usage of a Gleam based contest, whilst asking users to do the above inside an Instagram Post as optional steps (which don't award entries). More on this later, for now let's dive into our tips! So without further ado, lets dive into our favourite tips to help you become an Instagram Contest master. Take control of your campaign and data by embedding the campaign directly into your own store or website. When you run an contest on Instagram, the first thing you might notice is that you can't put clickable links inside posts. This means that there's no way to get users to your contest link. That's where the bio link comes in. The bio link is the only clickable link on your Instagram profile. So when you run a contest you should be asking users to visit this link to enter. You can take things one step further by adding tracking to your Instagram Bio links. You might be running a campaign that you only want users that have an Instagram account to enter. 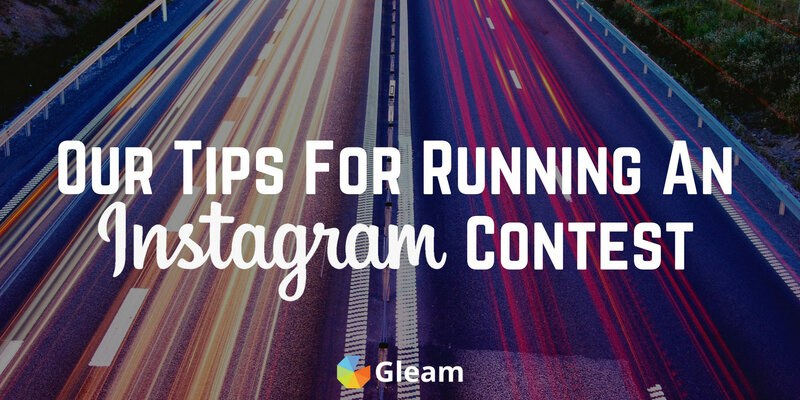 Gleam offers a number of ways to Gate the campaign or require users to login with Instagram. You can do this by turning on User Details > Require Login, then setting Instagram as the only login type. Automatic Entry allows you to award an entry when the user logs into the campaign, you will get access to the users @instagram profile after they complete at least 1 Instagram action in the campaign. Visit actions are designed to take users to an external page (away from the contest). When you're running an Instagram contest it can be often quite tempting to use this as the first action in your campaign. If you do this, then you're sending users away before they even get a chance to register their details and signup for the contest. Use an Instagram Entry action first but name it something like "Login With Instagram to Begin"
The Instagram Entry Action allows you to award an entry when a user connects their Instagram account to the campaign. This has the added advantage of providing you with a link to the users Instagram profile (handy for checking entries or contacting users). The Subscribe action allows you to sync your campaign with up to 30+ supported email providers. This is a very powerful action, especially for E-commerce stores as it allows you to sync users in real-time and provide them with direct special offers via email (and also the ablilty to contact them directly whenever you wish). For Business customers, Gleam offers a handy notification email that you can send every time you launch a new campaign (provided users have opted-in). Remember all those Instagram users that entered last time? Well, now you're in their inbox with just 1 click of a button. The Viral Share action is without a doubt one of our most popular and also most potent actions for getting more eyeballs on your campaigns. If you're running a campaign that sends users from Instagram to a landing page quite often you may want to redirect users back to Instagram once they've completed everything. You can use the Post Entry > Redirect option to automatically redirect users back to your Instagram URL of choice. Even though Gleam has to follow certain rules and regulations when it comes to the API, it is still possible for you to contstruct your own Custom Actions that asks users to manually complete certain tasks on the Instagram. The View Post action is a great way to draw a users attention to a specific Instagram post whilst using the Gleam widget. This means they don't need to leave the widget to view your message, but can decide to interact with it if they find your post valuable. Chances are that Instagram isn't the only social network that you use to promote your business. So don't just limit yourself to running the campaign on Instagram. A huge benefit of the Gleam widget is that you can ask users to complete actions that sit outside Instagram. This could be something simple like visiting your store, joining your email list or even Tweeting about your latest offer. The Promote Action offers a number of benefits for these types of contests. Set a high number of total winners and use our draw winner function daily to reward them. UGC or User Generated Content campaigns are a way for your business to collect content from users as a form of entry into a contest. One of the simplest ways to get users to provide your campaign with content is via a #hashtag. Check out this campaign below from Oreo that encourages entrants to use the #OreoDunkSweepstakes. If you use a non-unique #hashtag then your data will have a lot of noise that is unrelated to the contest, thus making it hard to filter valid entries. Gleam offers the ability to import #hashtags into your campaigns using our Import Actions. Select actions offer a seamless way of allowing users to upload and give you access to media as part of a campaign. You can allow users to upload media using the Media Submit action. Select actions can be restricted to only allow media that has a specific #hashtag assigned. A great way to allow users to filter their entries, select the best one and submit it directly into your campaign. Gleam allows you to import and photos or videos collected through campaigns directly into a beautiful responsive Gallery that can be embedded anywhere on your own site. Need some extra help to get your campaign noticed on Instagram? Here's our top tips to help you craft the perfect post for your contest. The final screen of the story offers users to swipe up which can take them to an external URL. This is perfect for contests. At the beginning of this guide we discussed the various techniques for running Instagram contests. One of the techniques businesses use is to run a number of incentives inside an Instagram Post, then send users to the link in their bio. This allows you to take advantages of the direct engagement on Instagram along with the benefits that come from using an app. Instagram now allows you to upload multiple images to one post in a carousel format. This is another feature that helps you rock contests, as it allows you to really tell a story about your prizes. If you've setup your bio link to send users to your campaign, then make sure you're asking them to click it in every post. Give users regular updates along the way, tell them how long is left and really try to build hype amongst your followers. If you have 10k followers and you partner with someone who has 20k followers, then the total reach of the campaign is ~30k followers. That's a 200% increase in potential campaign exposure for you, and a 50% increase for the partner. And that's just if you partner with 1 person. Technically you can increase that to 5 or 10 other Instagrammers. Fans are your lifeblood. It doesn't matter if you post on Instagram or YouTube, they will often love consuming your content and crave for more. That's why giving away items that have a personal attachment to your channel are much more effective than generic prizes (like iPhones etc). Ready To Run Your Own Instagram Contest?